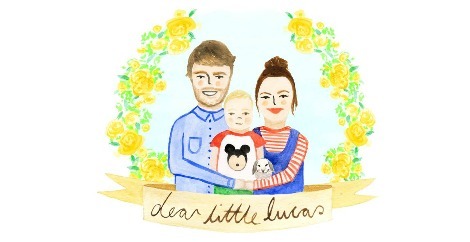 Looking back on Lucas' first's is something I love doing, especially now I know that in 22 weeks time, estimated, we'll be ready to do it all again. With a new baby on the way, you automatically start thinking of the little things your eldest did. Remembering the cute moments and the heart melting first times. Especially now that Lucas has just turned two, remembering the first things he did and the first time he did them, is such a special thing to look back on. Looking back at firsts is bittersweet, it makes you remember how fast little ones grow and how quickly they turn from squishy newborns to toddlers with personalities, attitudes but the most wonderful characters. Lucas is the cheekiest little 2 year old, i've ever met and I can't explain how funny he is... even with the attitude of a 13 year old. Lucas was weaned at 4 months, which some will say is too early, but Lucas was a hungry baby, we'd tried everything and finally were told by the health visitor to try baby rice or baby porridge. 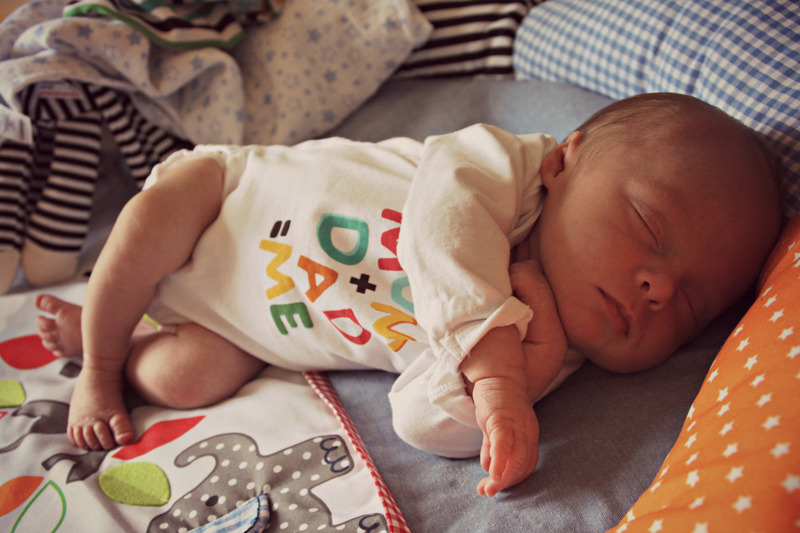 Lucas took really well to it and it helped with his reflux issues massively. I remember his little face when he first tried baby porridge and remembered how well he slept that night. He was full and thats when I first really realised that every child is different. Some children aren't ready to be weaned at 4 months, but Lucas was. I always remember Lucas trying new foods, discovering his likes and dislikes. One of his favourite foods is banana and he also LOVES yogurts, like petit filous. He loves the ones with the characters on them too. Peppa pig being his favourite. As I look back on Lucas' baby book he did things quite quickly and somethings meant he grew up quicker than I'd liked him too have. Lucas' first smiled at 13 days old, he laughed at 5 months old, he said mama and dada at 8 months old, he rolled over at 5months old, he sat up at 6 months old, he first crawled at 7 months old and stood alone and walked at 15 months old. He was slightly slower on the walking front as he was a little lazy, but it meant he was a crawler for a little longer. Lucas was born at 10:17am on June 3rd 2014 weighing 6lbs 5ozs. He had the most beautiful blue eyes and brown hair. The first "food" he ever had was breast milk, we managed to breast feed for 10-14 days with top ups of formula, due to low blood sugars, until, my milk just wasn't coming enough and my little 6 pounder had dropped to a very small 5 pounder and was just so so hungry and I wasn't producing anything really. His first foods were Banana, apple & cinnamon, pear, peas, sweet potato and carrots all purred up for a delicious meal. Not together of course. He first tried meat and fish at 6 months old. Lucas has always been such a brilliant eater he loves breakfast, lunch, dinner and snacks. He is the most inpatient foodie ever though. He doesn't understand that he has to wait for food to be cooked. So come "ninner" time, he calls dinner, ninner, he has to wait and he gets rather upset about the wait. Ever since he was 4 months old, and earlier he has always had a brilliant appetite, so much that he eats us out of house and home. I'd say he's so hungry that there is barely anything he doesn't like. He has a sweet tooth, and loves fruit but obviously, too much fruit still isn't great. He'd eat every banana on the planet if he could. Yogurts are great as he can have his sugar fix and get his vitamins as well as having fruit aswell in a day. Looking back I am glad I filled out his baby books, even for little things like his first foods. It's always such a lovely thing to remember and will be fun to remind him of when he's a teenager and "hates vegetables" and "hates bananas"
Toddlers and teenagers are as funny as each other. I look forward to as he grows up, hitting more milestones and firsts.